Mayor-elect Joyce Craig celebrates her victory Nov. 7 with supporters in Manchester. Joyce Craig is the first woman ever elected mayor of Manchester. That’s after she beat four-term incumbent Mayor Ted Gatsas on Tuesday by more than 1,500 votes. It felt like a party – the top 40 hits were playing, people were screaming and green and white Craig signs filled the room at the campaign headquarters at the Puritan Conference Center in Manchester. The race’s outcome was clear, less than an hour after the polls closed. And Craig overwhelmingly won. "Ladies and gentlemen - Mayor-Elect Joyce Craig," blasted over the sound system, as the crowd roared with cheer. 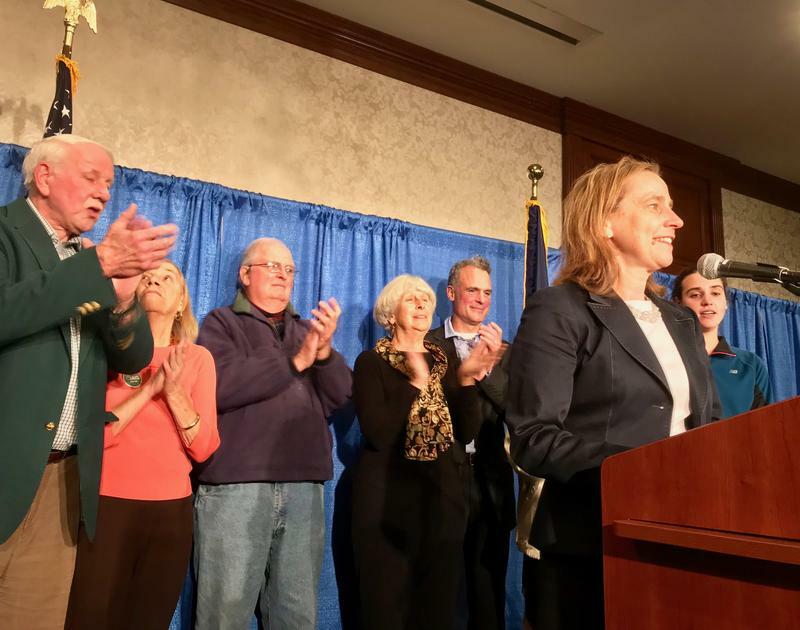 As Craig took the stage surrounded by her parents, husband and kids, she thanked her supporters but said winning the election is only the beginning. Mayoral candidate Joyce Craig identifies herself before picking up her ballot at the Webster School on Nov. 7, 2017. The former alderman and Democrat told the crowd her priorities in the corner office include improving city schools, reducing crime and addressing the opioid crisis. Supporter Daane Crook said it was simply time for new leadership in the city. 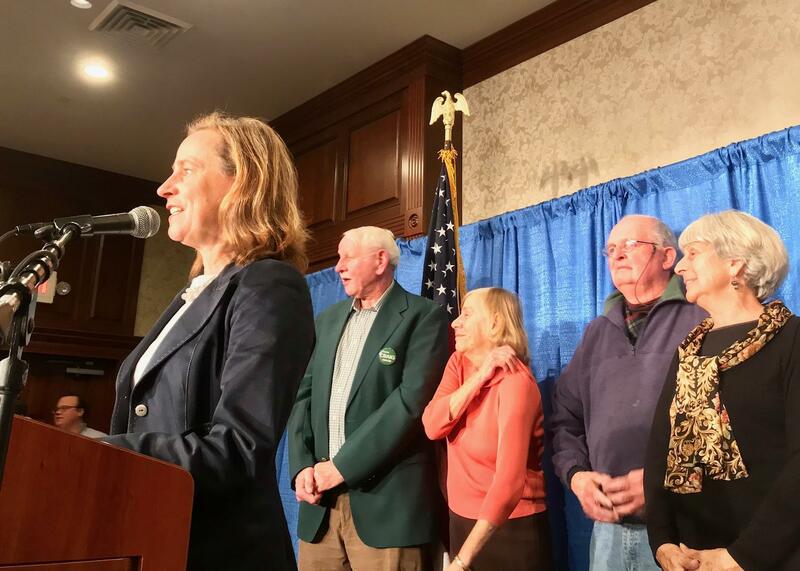 After the race was called, Gatsas took the stage at his campaign headquarters down the road at the Derryfield Country Club. 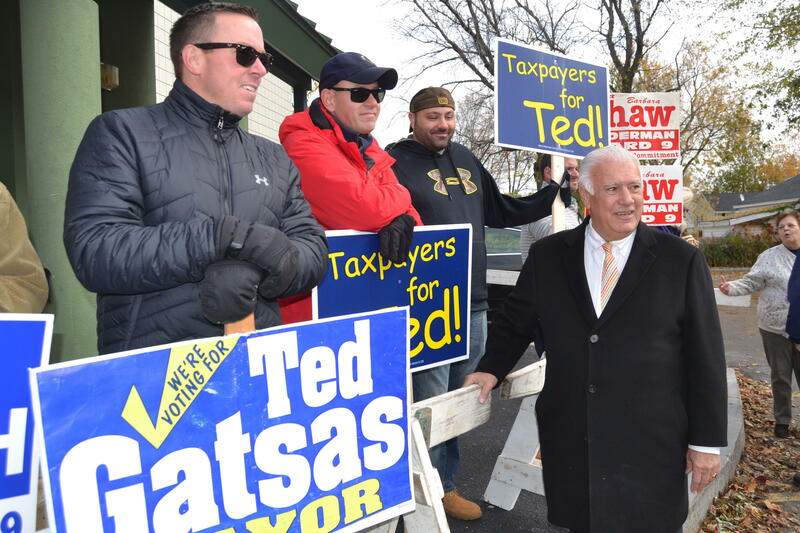 Mayor Ted Gatsas spotted by Wards throughout the city to greet voters Tuesday. 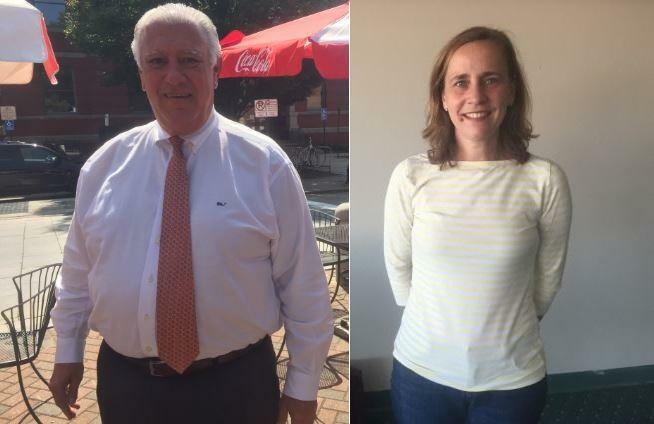 Gatsas, who’s held elected office in Manchester for nearly two decades, said although he lost, he will be paying close attention to the city’s well-being. This election was no easy win for Craig – she’s been campaigning since she lost to Gatsas by just 64 votes in the 2015 mayoral election. This time she hired more staff, raised thousands more in campaign contributions and had dozens of more volunteers on board. Jane Haigh was one of them. She’s been making phone calls and knocking on doors since June. Haigh said it will be a nice change to have a woman leading the city but it’s Craig’s progressive politics that really excite her. “I think it’s fantastic," she said after the race was called. "I think it’s like turning over a new leaf for Manchester – ready to move into the future, very excited," she said. Craig was just as optimistic about her home city. “Manchester’s best days are still ahead of us and I cannot wait to get to work as your mayor, thank you so much," Craig said, followed by loud cheers. Craig starts her new job - in January. 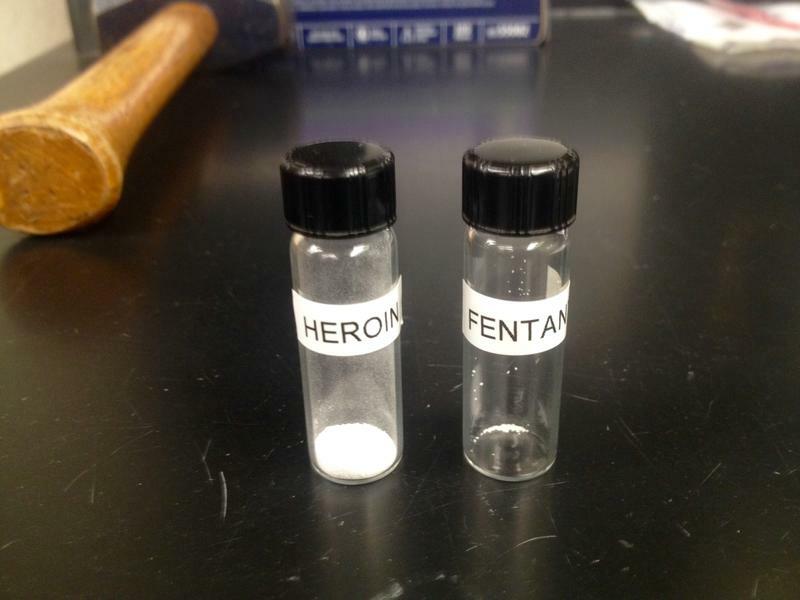 In September Manchester saw record breaking numbers in both drug fatalities and overdoses. So for many voters heading to the polls next week for local elections - this crisis remains their number one issue. 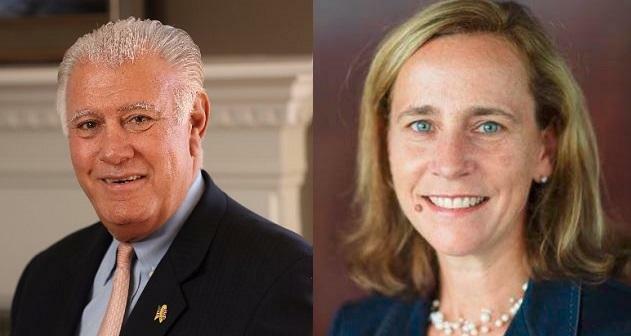 Incumbent Mayor Ted Gatsas and challenger Joyce Craig, a former Alderman, square off days before voters go to the polls. On the agenda: the opioid crisis, education, property taxes, and immigration. It's the second time the two have vied for the corner office of the state's largest city. 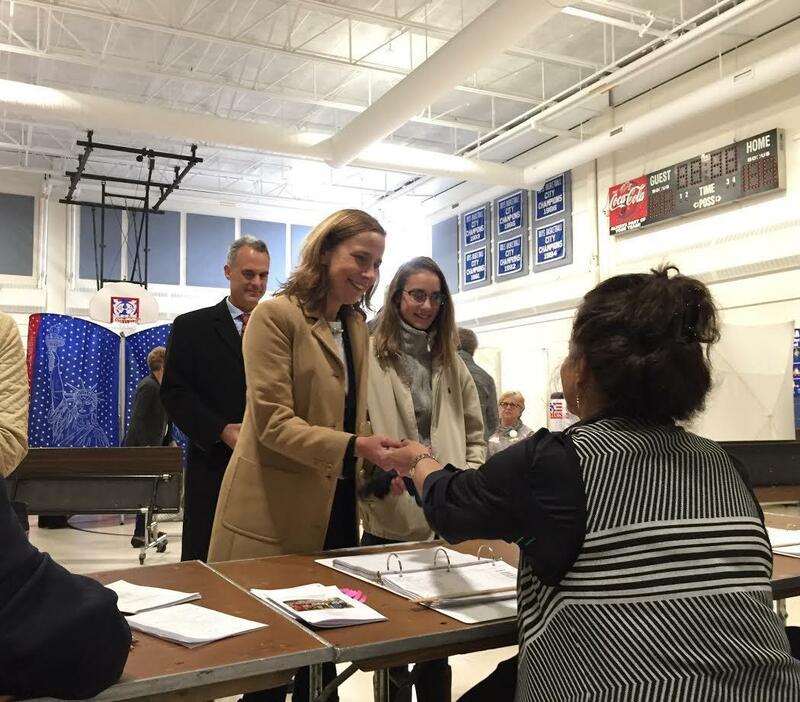 Voters in Manchester head to the polls Tuesday to cast ballots in the mayoral primary. While there are four candidates in the race, the two heavyweights are the same ones who faced off in the last campaign for mayor. Incumbent Mayor Ted Gatsas and former alderman Joyce Craig.